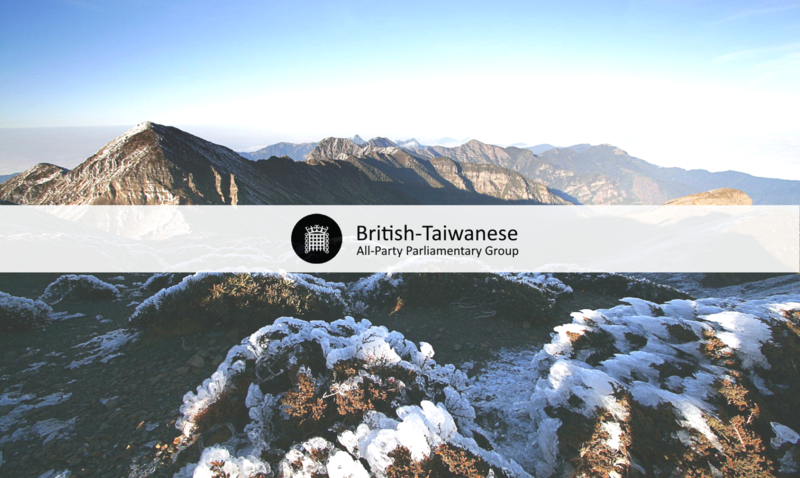 As the co-chairs of the British-Taiwanese All-Party Parliamentary Group, we have for many years sought to promote the bilateral relationship between Taiwan and the UK. In particular we have supported Taiwan’s participation in the International Civil Aviation Organization (ICAO), as we believe this to be in the interests of the UK and the wider world. Therefore we were dismayed to learn that Taiwan was not invited by the president of the ICAO Council to attend the 39th ICAO Assembly this year. We believe that the international community has lost out as a result. Taiwan’s Flight Information Region (FIR) covers 180,000 square nautical miles and provides services to nearly 1.53 million controlled flights carrying 58 million travellers entering, leaving, or transiting through Taiwan every year. The Taiwan Taoyuan International Airport – the main international gateway – was ranked 11th and 5th, respectively, in terms of passenger and cargo volumes. Taiwan needs to participate in the ICAO Assembly to ensure it can comply with up to date standards, and receive technical and academic assistance from the ICAO. We support Taiwan’s continued attendance at the ICAO Assembly and other regional meetings. Taiwan, with 74 airlines offering services to and from the island, operates passenger and cargo flights on 301 routes and connects 135 cities around the world. It cannot be allowed to become a “gap,” and be left outside the global aviation networks. 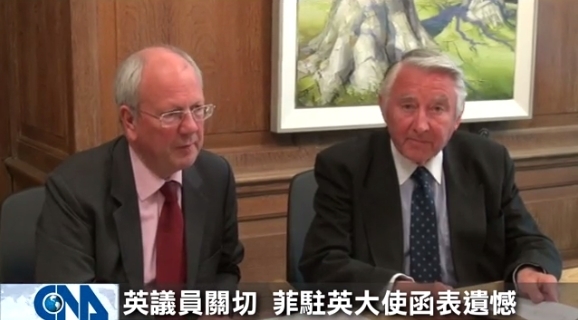 In an interview on June 4 with Taiwan’s Central News Agency, Lord Faulkner of Worcester and Lord Steel of Aikwood, co-chairs of the British-Taiwanese APPG, expressed support for the ROC’s position on the recent shooting attack on the Taiwan fishing boat Guang Da Xing No. 28 (GDX 28) by a Philippine government vessel. They also said that the actions of the Philippine government vessel, which pursued the Taiwan fishing boat for a considerable number of minutes in the overlapping exclusive economic zones between the ROC and the Philippines and fired nearly 60 bullets at the Taiwan fishing boat, could not be tolerated in a civilized society and were inexcusable. See Press Release from the Ministry of Foreign Affairs, ROC (Taiwan). 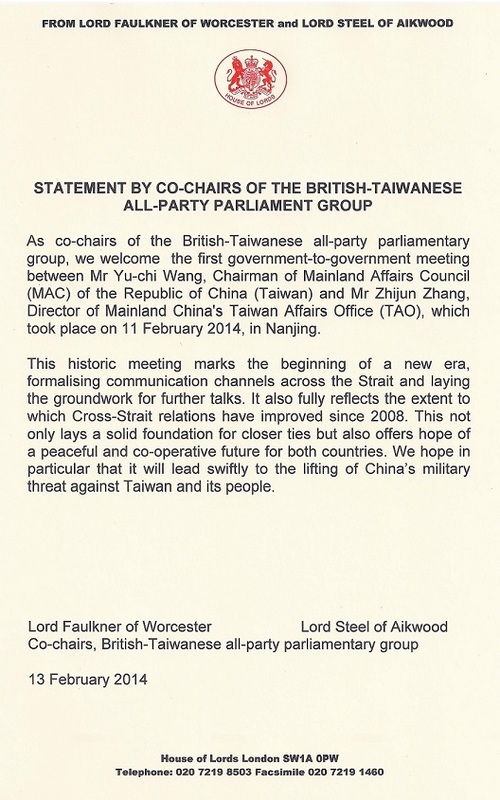 Chairman of the APPG, Lord Faulkner of Worcester, uses the medium of the Hansard discussion forum Lords of the Blog to draw attention to the removal of the national Taiwanese flag from the Regent Street Olympic display.